3D printing in space is the kind of new application of a novel technology that could open up a fresh chapter in both space and manufacturing. It reduces the supply chain to almost nothing, making it self-contained in a way that serves the International Space Station and other orbitals. The practical, real [out-of-this-world] uses will answer a fundamental question that has been asked of 3D printing in recent years: What’s it good for? Niki Werkheiser, 3D Print project manager at NASA’s Marshall Space Flight Center said the technology has already been tested in zero-G and there are several examples of the kind of tools it could produce on the ISS, where it will arrive later this month. 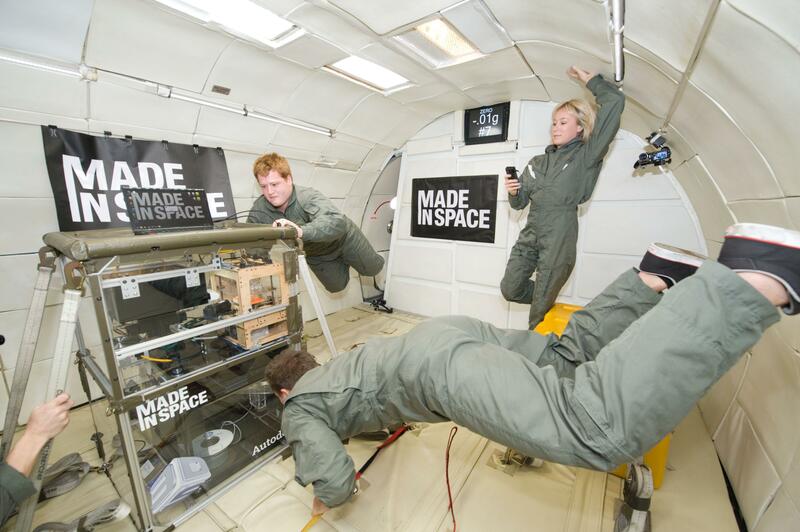 Will 3D printing in space go together like chocolate and peanut butter? If so, they combination could expand the capabilities of space missions, including to Mars. And rather than a supply rocket, it could just as easily be a container ship sailing the seas. Or a truck crossing a continent. Thinking of today’s news, however, I imagine in a time of renewed sanctions, certain countries will also have every impetus to harness the power of 3D printing to make up for imports they can no longer acquire. Just a thought. In any case, watch this area.